• Progressive loss of hormones occurs in pituitary injury, starting with loss of GH and gonadotropin and followed by TSH and ACTH deficiency. • ACTH deficiency results in cortisol deficiency, leading to hypotension, shock, and cardiovascular collapse. • TSH deficiency results in signs and symptoms of hypothyroidism. • Gonadotropin deficiency results in the signs and symptoms of hypogonadism. • GH deficiency causes short stature in children and may be asymptomatic in adults. The clinical manifestations of hypopituitarism are highly variable and depend on age and gender of the patient as well as on the etiology of the pituitary disease (Toogood and Stewart, 2008). Patients can be completely asymptomatic for many years or present with dramatic symptoms of nausea, vomiting, headache, and vascular collapse. Symptoms are more common in pituitary apoplexy, when the sudden withdrawal of ACTH and ensuing adrenal insufficiency cause hemodynamic instability. It is believed that at least 75% of the glandular tissue must be destroyed before an individual becomes clinically symptomatic. If the etiology is a space-occupying lesion, such as expanding adenoma or carotid aneurysm, the clinical manifestations will include headache and visual field defects, which are classically bitemporal hemianopsia. Other, subtle changes in vision involve color perception, patchy scotomas, and difficulty in passing a thread through the eye of a needle (Mooradian and Morley, 1988). Failure to lactate may be the first clinical sign of Shee-han's syndrome (postpartum pituitary necrosis). Lethargy, anorexia, and weight loss; failure to resume normal menstrual periods; and loss of sexual hair may also be present later in the postpartum period. On the other hand, symptoms and signs of pituitary infarction may be subtle and not recognized for years. Patients with panhypopituitarism (Simmonds' syndrome) are usually pale and lethargic, have dry skin and low blood pressure, and rarely may look cachectic (Toogood and Stewart, 2008). These patients have lost all the anterior pituitary hormones, and the clinical manifestations are caused by a mixture of hypogonadism, hypothyroidism, adrenal insufficiency, and GH deficiency. The clinical manifestations depend on whether the deficiency is partial or complete. Individual signs and symptoms reflect the biologic actions of various hormones secreted by the pituitary. Growth hormone deficiency manifests as growth retardation in children. The body proportion and primary teeth are normal, but secondary tooth eruption is delayed. In up to 10% of children with GH deficiency, symptomatic hypoglycemia may occur. In adults, GH deficiency may be asymptomatic. Subtle changes may occur in insulin sensitivity, manifested by reduced insulin requirements in diabetic patients, decreased muscle and bone mass and increased adiposity, delayed wound healing, and fasting hypoglyce-mia, and may contribute to anemia of hypopituitarism. Additional adverse effects associated with GH deficiency in adults include increased low-density lipoprotein (LDL) and decreased high-density lipoprotein (HDL) cholesterol, decreased cardiovascular function and increased risk of cardiovascular events, and a diminished sense of well-being. Life expectancy is reduced in these patients compared with age-matched controls (Svensson et al., 2004). Gonadotropin deficiency will result in hypogonadotropic hypogonadism (HH) or secondary hypogonadism. In prepubertal children, HH manifests as failure to achieve pubertal changes along with lack of pubertal growth spurt. Girls will have primary amenorrhea and lack of breast development or widening of the pelvis. In boys, testicular size will remain small, scrotal skin will not thicken, and penile growth, muscle development, and hoarseness of voice will not appear. In adults, HH presents as infertility, loss of libido, decreased facial hair and muscular mass in men and amenorrhea, and decreased breast size and atrophic vaginal mucosa in women. If left untreated, men and women with HH will develop osteoporosis. A deficiency in TSH will cause secondary hypothyroid-ism unless the patient has concomitant Graves' disease or an autonomously functioning thyroid nodule. The classic clinical manifestations of hypothyroidism include lethargy, easy fatigability, dry skin, cold intolerance, constipation, fine silky hair, slow mentation, and slow relaxation phase of deep tendon reflexes. Other features include anemia and hyponatremia secondary to increased antidiuretic hormone (ADH) secretion. In general, these symptoms are less severe in patients with TSH deficiency compared with patients with primary thyroid failure, and other findings, such as hyper-cholesterolemia, hypercarotenemia, myxedema and effusions in body cavities, may occur less frequently (Toogood and Stewart, 2008). A deficiency in ACTH will result in deficiency of cortisol secretion and is referred to as secondary adrenal insufficiency. 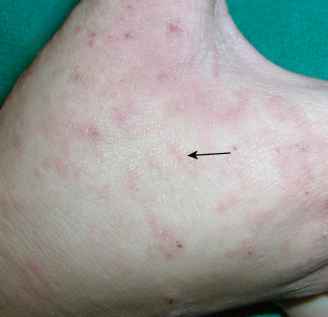 The clinical features resemble primary adrenal disease, such as Addison's disease. In both entities, anorexia, lethargy, nausea, vomiting, abdominal pain, postural hypotension, and vascular collapse may occur. Hyponatremia is more common in ACTH deficiency, whereas hyperkalemia is seen only in primary adrenal insufficiency and loss of aldosterone secretion, primarily regulated by the renin-angiotensin system and serum potassium/sodium concentrations. Hyper-pigmentation of the skin and vitiligo are features of primary adrenal insufficiency, whereas patients with ACTH deficiency have difficulty tanning on exposure to sunlight. Mild ACTH deficiency may be asymptomatic and may go undiagnosed for a long time.